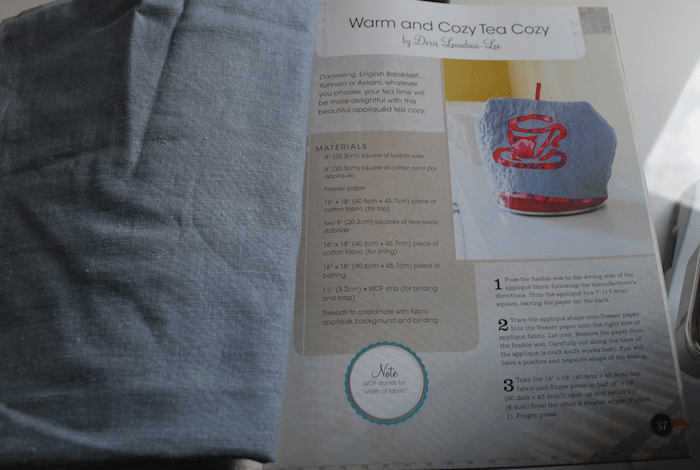 My pattern: Warm and Cozy Tea Cozy has been published! Craft it now: 75+ Simple Handmade Projects is a great crafting book with easy ideas to craft great items. 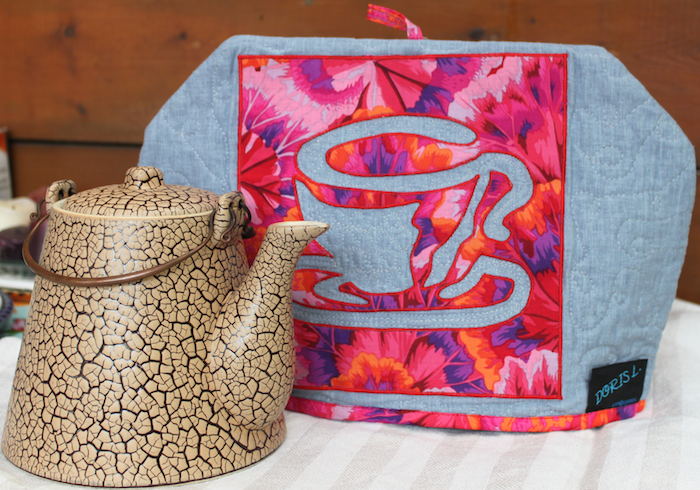 Projects feature quilting, crochet, embroidery, polymer clay and other fun techniques. This would be a great book to introduce a child to handwork. The projects are designed to be created in a short period of time. 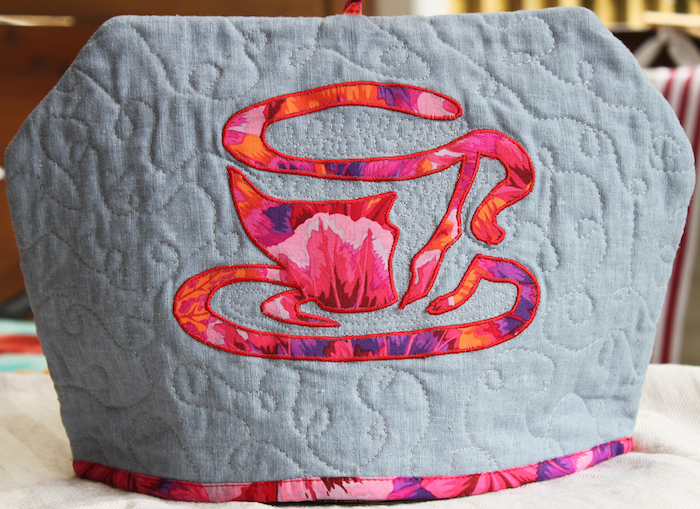 My project features an appliqué design where the cut teacup is carefully cut out of one square of fabric. Both the positive and negative pieces of the block are used. 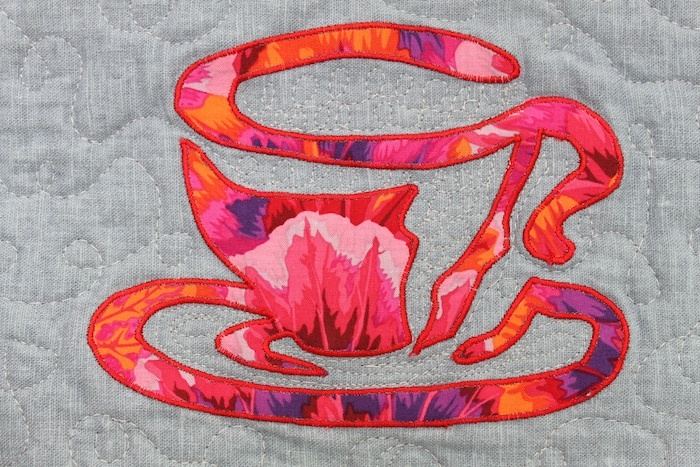 The positive and negative appliqué are fused onto a background, satin stitched and then quilted. This can easily be adapted to make a pillow, placemats or table runner.